The David Round Company is a leading supplier of jib cranes, including both free standing (floor mounted) and wall mounted styles. You can add a motorization kit to any David Round jib. For facilities with existing jib cranes, our Roto-Mate™ or Roto-Max™ Motorization Kits can be used to convert your equipment into a safer, more ergonomic material handling device. 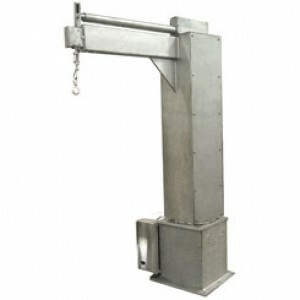 We specialize in supplying stainless steel jib crane products, which are often found in the pharmaceutical cleanroom and food processing industries. These cleanroom ready cranes are immediately available for purchase and delivery as they are part of David Round’s standard offering. The David Round Company has an in-house surface treatment facility dedicated solely to glass bead finishes for its stainless steel jib crane products. This capability provides more hygienic surfaces than available from conventional jib crane manufacturers. We can provide custom engineered cranes and lifting products by designing and engineering them to your specific requirements. 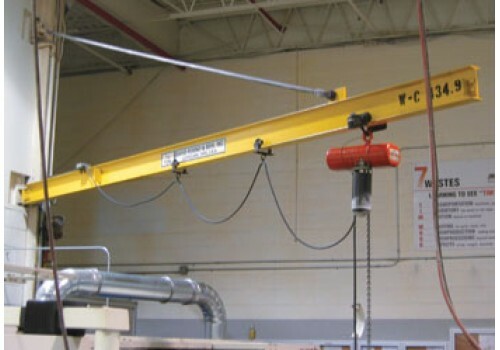 View our stainless steel jib crane page for crane designs that meet cleanroom requirements.